Sorghum originated in Africa where it has been cultivated for over 4000 years. 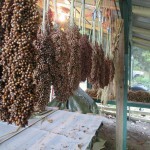 There are four main types of sorghum. 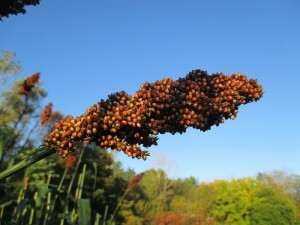 Cane sorghum is grown for syrup production. 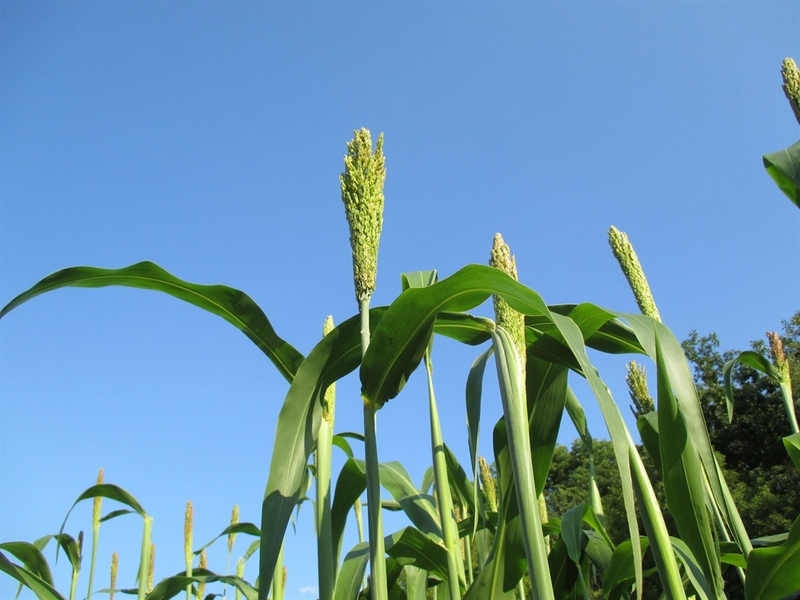 Grain sorghum is grown for animal feed and for human consumption as a flour or cereal. Broomcorn sorghum is generally grown as an ornamental or for fashioning into brooms. 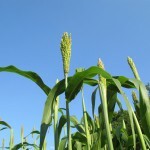 The fourth type is Grass sorghum, used for pasturing. Dale is a variety of sorghum grown for both its grain and for making syrup. I refer to Dale as the “pancake plant”. The dry seed can be ground into meal or flour used for making pancakes or breads. The juice extracted from the pressed canes is boiled down into a wonderful, rich, sweet syrup. Sorghum grain is gluten free and very versatile, whether used for human consumption or animals. The plant can also be used as forage for livestock and bio-mass for compost building. 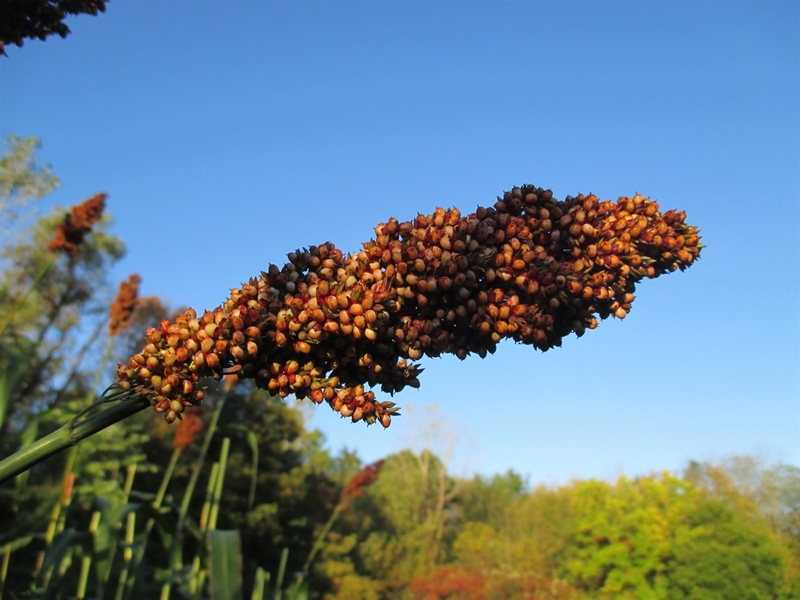 Sorghum has a lot to offer for the gardener as well as the homesteader. 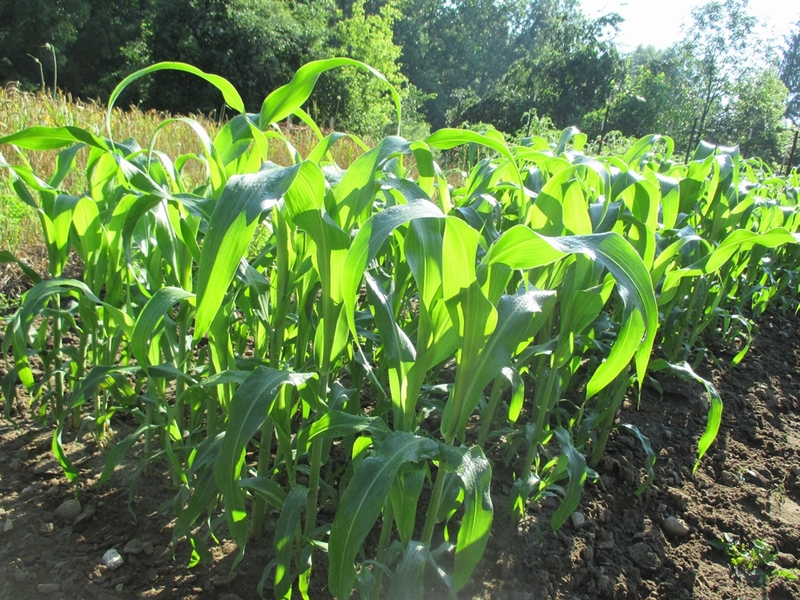 Dale Sorghum is very easy to grow and drought-resistant. 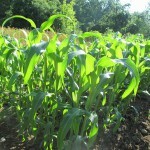 The culture is similar to that of corn, but requires less water. Plant in the spring after all danger of frost has passed. Sow seeds 1/2″ deep and 6″-12″ apart in rows or beds. Dale grows quite tall and will require support once the heavy seed heads emerge. I plant in beds 4′ wide and then set t-posts around the perimeter of the bed every 10′. A strand of twine around the top of the posts will help to support the canes from lodging. Harvest in the fall for grain and syrup, when the seeds are in their dough stage (seeds are hard to indent with your fingernail and no longer milky inside). Cut the canes and strip off the leaves. 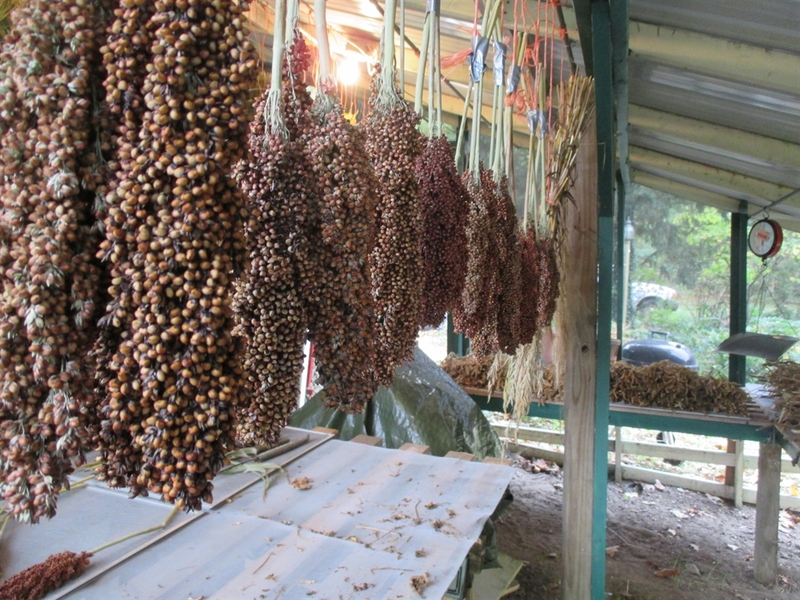 The seed heads can be cut and hung to dry for later threshing. For syrup, I let the canes “rest” for a couple of days before pressing the juice which is then slowly boiled down into syrup. CAUTION: Fresh sorghum leaves after frost, can develop a toxicity to cloven-hoofed animals. How much is 5 lbs of Dale sorghum seeds. I do not sell Dale in large amounts. I know Southern Exposure Seed Exchange carries it in 1/4 lb sizes.